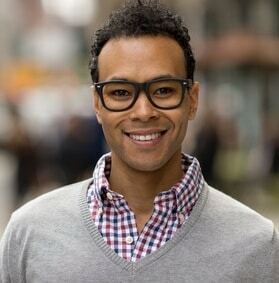 Some men stay healthier, live longer and age slower. You can too. Going far beyond a simple vitamin supplement, NutriShield includes specific nutrients for men’s health that include zinc for normal testosterone levels, selenium, Omega 3 and lycopene. It’s the UK’s most comprehensive vitamin supplement for men. The following nutrients have all been found, in significant amounts, in diets linked to long-term health and longevity. 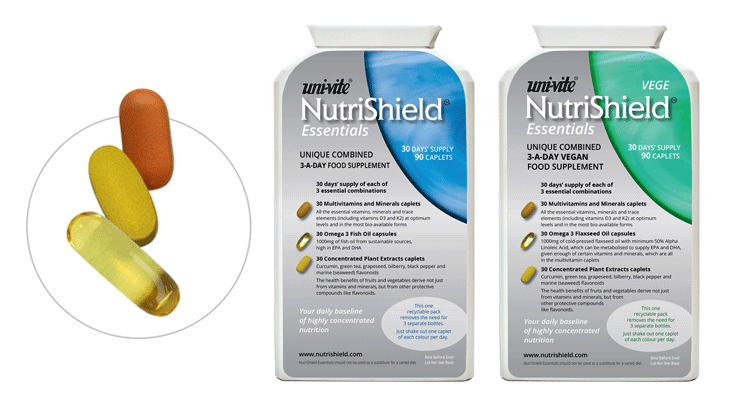 NutriShield Essentials contains all these vitamins and nutrients in a unique formula with 3 different caplets a day – and at what research indicates to be OPTIMUM, not just RDA levels. 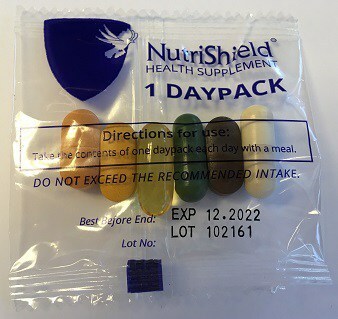 If you are a man over 50, or want our most comprehensive supplement, choose NutriShield Premium, in a convenient daily sachet, which adds three extra caplets daily containing these other protective nutrients. NutriShield Premium is a heart, brain, skin, joint and eye vitamin supplement ALL IN ONE! Click for a short summary of what all the nutrients do.